ALLEGRA BOVERMAN/Staff photo. Gloucester Daily Times. 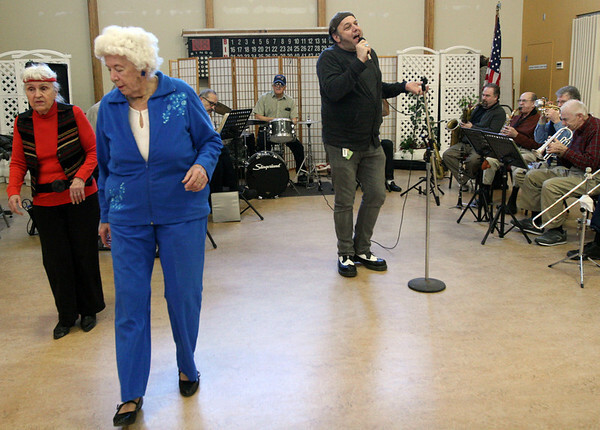 Gloucester: The Good Ole Salty Jazz Band performs every Monday afternoon at 1 p.m. at the Rose Baker Senior Center in Gloucester. As Henry Allen sang, center, Gloria Gallo of Lynn, lar eft, and Evelyn "Chick" Nelson of Rockport danced.